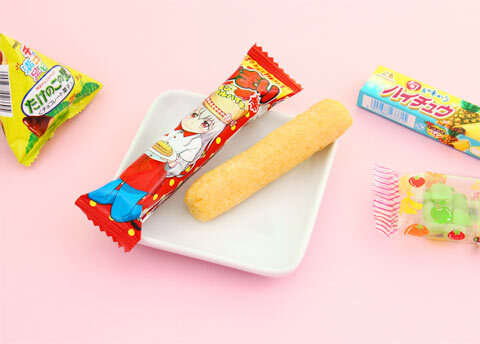 Take a peek which Japanese snacks were included in the September Japan Candy Box! Mochi is a traditional Japanese rice cake with a chewy texture. 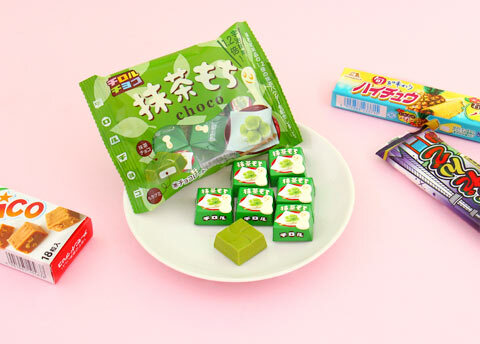 This Tirol chocolate has a delicious mochi filling and is flavored with matcha green tea - another Japanese traditional flavor. 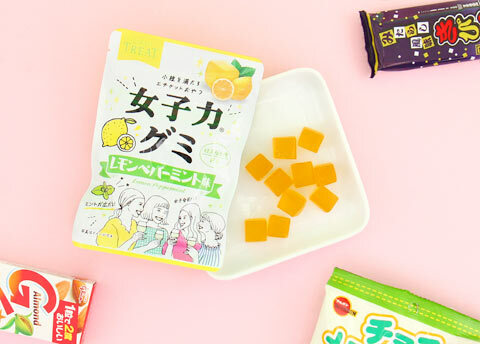 These delicious lemon gummies are infused with peppermint, creating a fresh flavor combination! They’re an “etiquette snack”, meant to be eaten when feeling hungry at a social gathering. Just don’t finish the whole bag at once! Melon Pan is a traditional sweet bun from Japan, covered with a thin layer of crispy crust. These bite-sized versions also have a soft and deliciously creamy white chocolate filling. 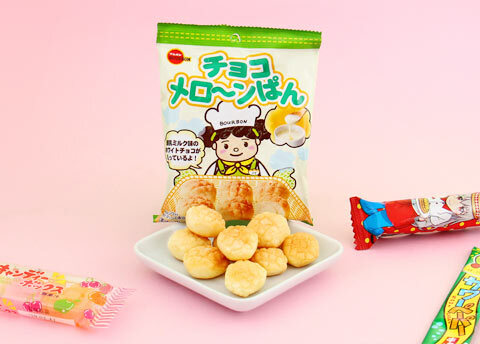 Umaibo or "delicious stick" in Japanese, is a puffed corn snack available in countless flavors. This Cinnamon Apple Pie flavor is a Tokyo Area Limited Edition snack! 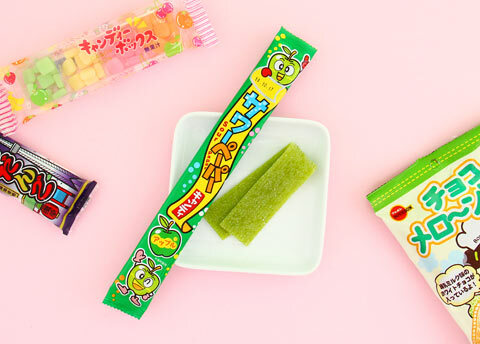 Even though the candy is thin like paper it is full of rich green apple flavor. Celebrating the Autumn fresh fruits harvesting season. 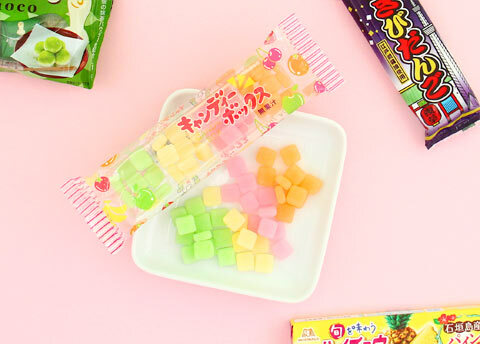 These delicious small mochi candies come with a toothpick making it easier to pick up and enjoy them. Which one is your favorite? Orange, cherry, banana or apple? 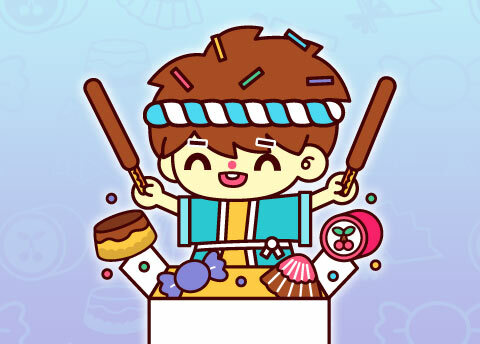 Japanese people love caramel candy! 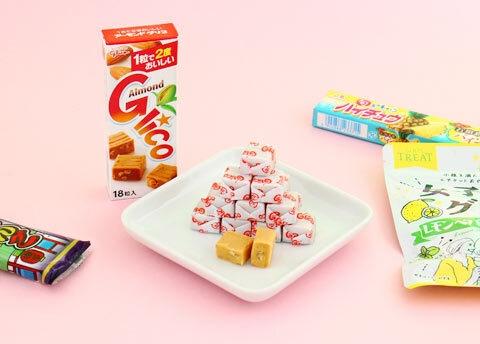 These unique caramel cubes have a chewy texture and are infused with bits of crunchy almond. 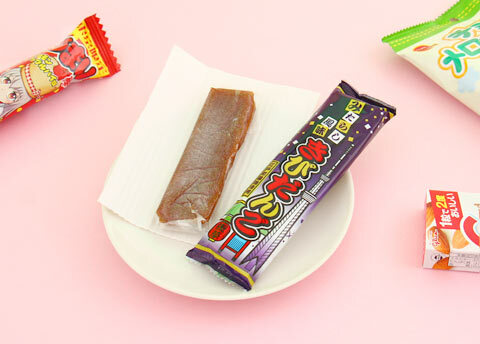 In 1975 Morinaga introduced a new fruit-flavored candy called Hi-Chew. It has since become a cultural icon in Japan. 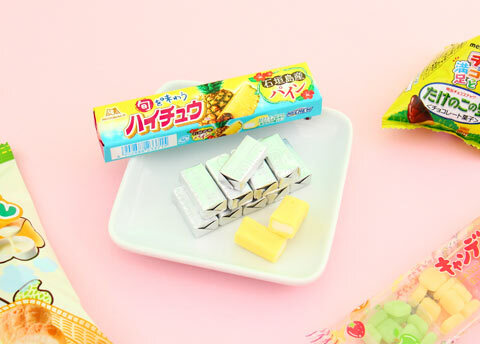 This limited edition version is made with real pineapples from Ishigaki island in Okinawa. 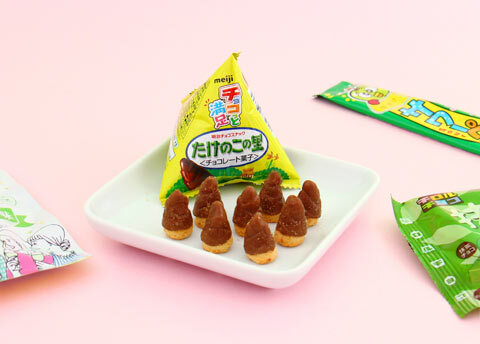 These delicious biscuits are covered in milk chocolate and made to look like real bamboo shoots. The packaging also features a traditional countryside bamboo scenery. Sumikko Gurashi translates literally to “living in a corner” and the characters are shy just like many Japanese people. These yummy grape flavored gummies are shaped like different Sumikko Gurashi!